Home > Hinduism > Hindu Gods > Supreme God > How are deities associated with various organs in Human body? How are deities associated with various organs in Human body? According to the science of origin, gana means a small army of soldiers or a group of fellowmen. According to the Amarkosh, gana means trustworthy, originating from all directions or a group of pure particles (pavitraks). Assistant deities and their numbers are as follows. Attendants of the marut class (Marudgan) : ‘Maruts always live as attendants. They are either a hundred and eighty or twenty-one in number. That is why they are always referred to in the plural. They all look alike. Their chests are adorned with medals and necks with glittering necklaces. Their feet too are embellished with ornaments. Their weapons are also similar. They all wield an axe and a bow in the hand and spears on the shoulder. Golden crowns decorate their heads. Their chariots are of four kinds. Some of them are drawn by horses or deer. Some however travel with great velocity even without horses while others fly through space. Maruts are the soldiers of deities and annihilate enemies of deities completely. They are knowledgeable, farsighted and poetic. Rudra is their father and Prushni, their mother. Rodasi is their consort. One important mission of the maruts is to provide rainfall. They ascend from the ocean and cause rainfall. They are closely associated with clouds, lightning and raging winds. A messenger of a deity is a link between God and man. A mention of messengers of deities is made in all religions. The Purans describe messengers of the deities Shiva, Vishnu and Yama. These transport the subtle bodies of dead people to various regions depending on their sins and merits. The amount of Shiva principle in messengers of Shiva is 10% and that of Vishnu in His messengers is also the same. From the point of view of the average man even these messengers are like deities as the quantity of The Supreme God principle in him is only 0.0001%. 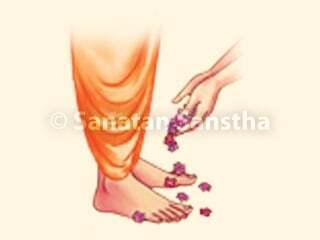 Refer to point H – ‘The one who loves His devotees’. Every bodily action requires energy. Every energy has a specific name, for instance the energy which induces sneezing is called deity Chakpadi. To understand the association between organs and deities first chant the word ‘arka’ for one minute and note in which sense organs namely, the ears, skin, eyes, tongue and nose some sensation is felt. Only then read the following paragraph. Thirty-one seekers attended a workshop on Spirituality. None of them knew the meaning of the word arka. After chanting the word ‘arka’ they experienced sensations in various sense organs as follows : 19 seekers – in the eyes, 4 – in the ears, 4 – in the tongue, 3 – in the nose and 1 – on the skin. From this, one can deduce that there exists some relationship between the word ‘arka’ and the eyes. Arka is one of the Names of the Sun deity (Surya). The Sun deity and the eyes both being associated with the absolute fire (tej) element, after chanting arka, a majority of seekers felt the sensation in the eyes. The following table illustrates the relationship of various organs with deities and also how the Name of a particular deity should be chanted to improve the function of a particular organ. 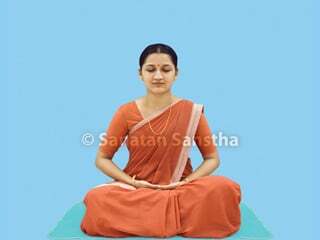 The point to be noted here is that specific chanting will be beneficial only if the function of an organ is impaired due to a spiritual factor, that is a reduction of vital energy (pranshakti) and not if the cause is physical or psychological. These are referred to as presiding deities (adhidaivat) in the Vedas. They are : Indra of the hands, Vishnu of the feet, Surya (Sun deity) of the eyes, etc. Functions of the respective organs occur due to these deities. The five cosmic elements namely pruthvi (absolute earth), apa (absolute water), tej (absolute fire), vayu (absolute air) and akash (absolute ether) are also referred to as the deities of absolute earth, absolute water, absolute fire, absolute air and absolute ether respectively. 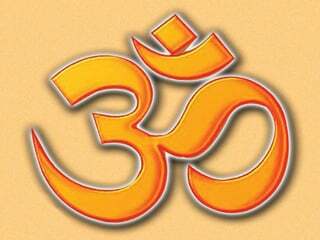 First chant vayu, the name of one of the cosmic elements, for one minute and note which sense organ is affected. Then read the following discussion. At a workshop after chanting vayu, 10 out of 28 people felt a sensation in the skin and 3 people experienced some fragrance. No one experienced anything in the eyes, ears and tongue. Since the skin originates from the vayu element most people experienced a sensation in the skin. The following table gives the element from the five cosmic elements, its characteristic and relationship with organs. Wind (vata), bile (pitta) and phlegm (kapha) are the three humours in the body. Hanuman is the deity of wind and phlegm and Shiva and Ganapati are the deities of bile. They are termed as deities instead of distressing energies because illness supervenes when merits in one’s destiny decrease. Thus there is no question of deities causing the distress. A. Deities of organs itself mean fate or destiny. If the deities are pleased with physical, verbal and psychological actions then destiny is favourable but if actions are unrighteous it is unfavourable. Pleasing deities with spiritual practice itself means nullifying destiny. B. The universe is under the control of deities. When deities are appeased they endow happiness to man and if displeased they give sorrow. 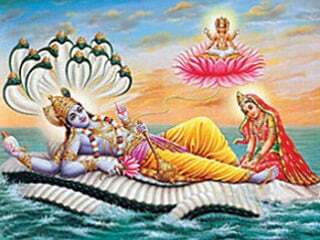 C. Man nullifies his destiny by experiencing it while Lord Brahma nullifies His destiny by giving rise to creation. In the Devanagari script alphabets have been divided into eight categories, that is a (अ) – k (क) – ch (च) – t (ट) – t (त) – p (प) – y (य) – sh (श). Every category has a specific deity. If any poetic composition is begun with an alphabet from a particular category of alphabets then benefits are derived as given in the table below. Meaning: If deities do not perceive the character of women and the destiny of man then how will man perceive it ? This is because deities can only see man’s actions but God knows even his thoughts.
. Shri Brahmachaitanya Maharaj Gondavlekar Yanchi Pravachane. Compiler : G. S. Gokhale. Publisher : R. B.Ghanekar. Secretary, Shri Sadguru Brahmachaitanya Maharaj Gondavlekar (Sansthan), Chaitanyopasana, P. O. Gondavle Budruk 415 508, Taluka Man, District Satara.
. The Vedantasar of Sadanand, Ed. 1934. Edited by Colonel G. A. Jacob. Publisher : Pandurang Javaji. Nirnay Sagar Press, Mumbai 400 002. 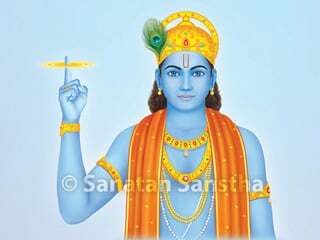 What is the difference in getting desires fulfilled from saint and subordinate deity? 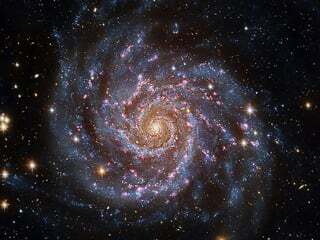 Which are the five essential components for functioning of Universe? Why does law of Karma not apply to absolute incarnation? When is an incarnation known as absolute incarnation? Why is mankind attracted towards Supreme God? 1. Celestial beings, 2. Deities of directions. Another Name of Shrī Vitṭhal, an Incarnation of Shrīvishṇu.